It’s been a nice weekend for experimenting with some idea’s and getting the mapping hand back in practise. Firstly, as noted in a previous post, I have been experimenting with the idea of ‘zombie cards’. An index card style system of zombie NPCs which will allow a YotZ GM to quickly assemble a small horde of risers, each with their own unique stats. I have now come up with the first draft of the design of these cards, so I share with you the zombie card design, using Mr Welby from Hold at all Costs 1 as the stat block. Linked to this style of zombie presentation, is the NPC work I also mentioned earlier. I have continued writing on this project. Having immense fun trying to put myself into the shoes of these NPCs at the various stages of the rising (in this case from zero to 72 hours), and presenting a, hopefully, sensible and viable survival plan for each of them. Included in this is a rough description for what the NPCs is doing at the various stages, how the party could encounter the NPC and a stat block for each stage. Most of the stat blocks reflect changes in the NPCs equipment more than changes in level as the time scales are quite short. Finally, I have opened up my mapping folders again, starting work on a Master Plan Modern range of roads and junctions. These I will be developing to allow use for both normal modern games and also post apocalyptic and YotZ. Below is the first map, which I am giving away as a freebie on this blog. Anyway, that’s a brief summary of the activities of the weekend, more to come. Well, the students have finally started back and we get back into the daily routine at work, rather than the project driven summer holidays. For those who don’t know I work in I.T. at a UK University, and the last few weeks have been frantic as per usual. But as I said they’re back and things are settling down a little again. As a result I haven’t been a productive as I would have liked, having got a new set of cover stock art out, and a few other publisher resources ready for release, but I haven’t been entirely idle on other projects. I have started laying out Marauders 2 for YotZ, and continue working on Shadow of the Zombie. Additionally, I am working on a number of Masterplan Modern: series floorplans, some of which will be suitable for a Post Apocalypse version as well, and hopefully one or two will also make potential YotZ Encounters products. 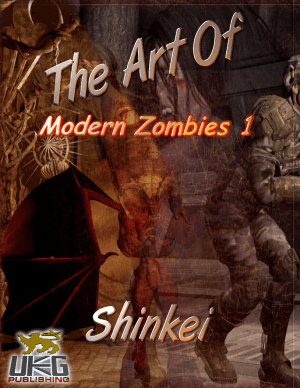 Finally I have started work on what I hope will be a great resource for YotZ and Post Apocalypse players in the D20 Modern setting. One of the things I often find when working with the YotZ setting, is the need for a few survivor NPCs. And by this I mean, not the Fleshmongers, Marauders type of survivors, but general everyday folks who have by wit, skill or luck managed to hang onto their lives despite Mr Hungry trying to take it at every turn. These are the doctors, lawyers, students, builders, electricians, normal people who we all know. So I thought that a series of products detailing more rational, and normal survivor types at various points in the rising would be a useful resource for me, and therefore possibly for other YotZ GMs as well. Additionally, I will be not only providing a bio, stats and other information on these NPCs but their zombie stats should they die. These zombie stats will be in form of “Zombie Cards”. Index cards of the zombie so if you need half a dozen zombies you can randomly pluck them from a deck and voilà zombies ready to go. If you have any thoughts on how this product idea could be improved, do feel free to drop us a line. Finally, I am including 2 more wallpapers from John Picot. Enjoy. Finally, managed to get my head down and pull together some work. I have also got a new Stockart Covers product ready, expect this in a few days as well as more art from John. For those who need a reminder of some of Johns work I have also created 3 new Desktop Wallpapers for Year of the Zombie, which can be downloaded for free from the links below. Real Work, in the Works! Well, not a lot of new progress on products. As the title suggests, real work is getting in the way of publishing work. With 35k students all poised to return to Uni in 3 weeks, it’s all hands on deck getting everything ready, so I have been more than a little tired this week after work. In addition our best mates got married on Tuesday, so Monday and Tuesday were right offs as far as writing was concerned. On a more positive note, I have started a new floorplan set. Master Plan: Modern – Homes and Apartments will give a number of small houses and apartments, all nicely decorated and furnished. I am aiming this product at two distinct uses. Firstly the clean version can be used for burglary and such for our more nefarious characters, and a dirty version (blood splats optional) will be ideal for scavenging locations for a Post Apocalypse or YotZ game. I am also trying out a new idea with this set of floorplans. Over the years I have built quite a few mapping objects, and for this set I am going to include the png files the objects used in the plans as well as the plans themselves. Hopefully, gm’s will find these useful for drawing their own maps. Who knows, but opinions are always welcome. Finally, I have started on layout of Marauders 2 for YotZ so this should be with us in the next week or so.